Innovation is all around us but it’s a fact that we forget to innovate what’s already set as a norm. And this is how we ended up 20 years later still using the follow-up email as the only source of collecting reviews from the guests in the hotel. A quick research shows that the best advice from specialists is to make it simple for guests to write a review. This is absolutely reasonable – the opportunity cost of spending 4 minutes doing something purely for the sake of helping other people make a choice and getting nothing in return is quite high. Unless… it’s more of a revenge for not being satisfied. We’ve cracked the code for collecting reviews and a disruption in the whole feedback-collection process is soon to happen so it’s time to get on board! Here is the whole magic formula explained. If you put these 3 methods to use, you are certain not only to make guests feel more valued but also get a ton of reviews more. You’ve already realized that one of the first things a guest does after the check-in is connecting to the Wi-Fi, a great weapon and you need to make sure it is in your hands! How to do that – use the landing page that pops up after connecting to the Wi-Fi to ask for feedback. You can put a survey with a review for the check-in experience and voalá – you’ll have their feedback from the very beginning. Check what happens in reality when this tool is used properly – the Tradewinds case. Get a review survey constantly running on a touch screen. You can put one on the reception, in the restaurant or the spa. You can even customize the survey to fit this specific spot. Check out this good idea set into practice in the Cactus Hotels. 3. QR codes can be placed anywhere! And they’re waterproof! Get the code leading to a survey which the guests fill out from their own device! Google Chrome recently released a QR reader incorporated to their browser app, which makes using it even easier. There you go! The seed of innovation is in your hands! Make sure you plant it. If you have any questions on how exactly to set it up, drop us a line on Twitter – @reputize.co! Get new articles & resources sent to your inbox every week. The 2019 HolidayCheck Award is coming soon! Why would you bother? 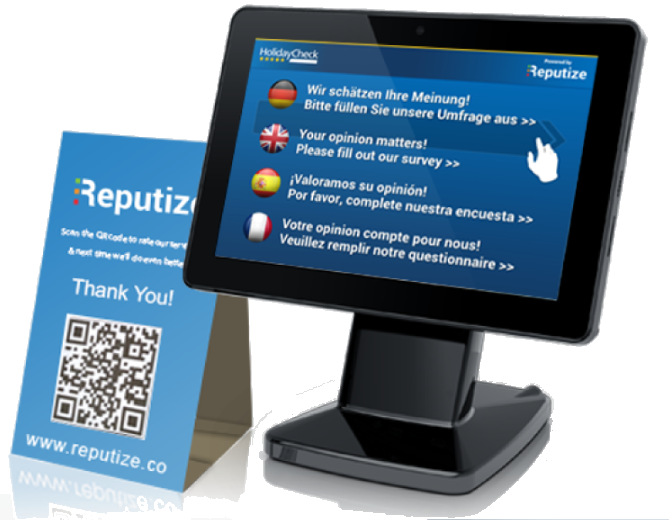 Reputize is a leading end-to-end Online Hotel Reputation Management platform. 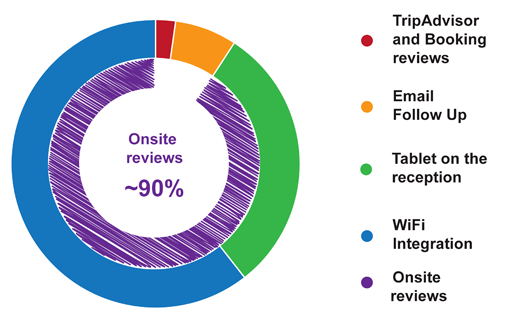 We provide an easy way for hotel professionals to monitor, collect and amplify guest reviews. 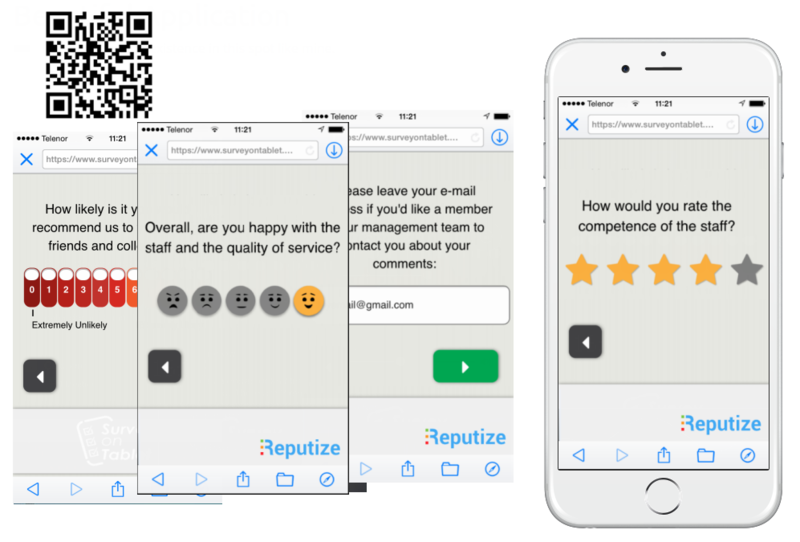 Reputize delivers measurable results and help our clients improve OTA rankings and grow revenue. © Copyright 2019 reputize.co. All Rights Reserved.